In an alternative universe, what if Yugoslavia still existed? NATO’s expansion, the Cold War still being waged, the so-called democratic western nations destroying freedoms in the name of democracy, we’re already living World War III. 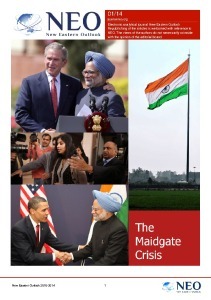 At this crucial juncture in history, it’s absolutely imperative that we examine what has transpired the last 25 years. Yugoslavia and western intervention there, is perhaps the best place to begin. This article calls to question the peace that might have been. More importantly, it calls to question whether or not peace was ever a democratic goal. Can you imagine Europe today with Yugoslavia as a key player among nations? I can. Yugoslavia was in fact, one of the greatest cultural and human experiments in history. Formed in the crucible that was the conflict in between the Austro-Hungarian Empire and the Ottoman Empire, Yugoslavia melded together people’s of both cultures, and in ways not seen since the time of Alexander the Great’s assimilation of peoples after immense conquest. The experiment, if I may call it that, lasted a little over half a century. The ideal was, to form a single state for all southern Slavic peoples. While Yugoslavia’s creation was partly a geo-strategic move on the part of Britain and France, in order to restrain or block Germany, the underlying idealism was sound and just. The provisions of the so-called “Corfu Declaration” called for what amounted to a constitutional monarchy not unlike England’s. Rights and suffrage, and core principles of something known as the Illyrian movement, were promising aspects of early Yugoslavia. Even though King Alexander would eventually suspend the constitution and elections, the melding of ethnic groups and cultures still showed promise. War, political machinations, internal and external pressures preyed heavily always on this fledgling world power. As has been the case in many such experiments, ultimately authoritarian rule became the necessity, even desirable. To end the history lesson, when the national hero turned Dictator and world celebrity, Josip Tito was firmly in control, Yugoslavia played on the world stage. Then when his power waned, opposing forces found their foothold. No scholars or politicians speak of it today, but Tito’s part in establishing the Non-Aligned Movement of nation states was magnanimous and extremely significant, especially for the people who now live in Croatia, Serbia, Montenegro, and the other former Yugoslav regions. I’ll get into this further along, but for now it seems important to outline this Non-Aligned Movement’s ideals. So essentially, the NAM was to be an independent movement of nations in between the great powers, with the idea of negating the Cold War was in novel and interesting one. Of course the major powers engaged in this new political and idealistic warfare had at their core strategy, the inclusion of every one of these fledgling independents. As we see today, the battle goes on to fragment, divide and render powerless, countries and peoples everywhere on the globe. This can be seen most easily in the carving up of the former Yugoslavia, and in the fact the resulting states have shown no inclination to be part of NAM now. Instead, the EU and NATO have been the gravitational pull that moves Croatia and the others. We see the prevalence of “Cold War” strategy in the fact Belarus and Azerbaijan are the only two members of the Movement in Europe, Azerbaijan and Fiji being the most recent entrants, having joined back in 2011. However, the 2012 NAM Summit saw higher attendance than any previous year, a bit of a sign of our crisis time now, I expect. With a declared purpose of “world peace”, and fundamental rights and integrity as its dogma, NAM was and is a valid theoretical mediating framework. But let me return to the fantasy case for Yugoslavia now. The truth is a much simpler reality. No one needed a think tank to discover why President Bill Clinton hesitated to intercede in Bosnia. Clinton was in fact, continuing the policies of his predecessor, George Bush the senior, to destabilize the Yugoslavian socialist success. 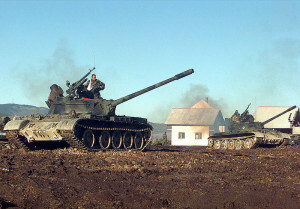 We know now that US covertly trained insurgents played a vital role in fragmenting the region via an organization known as the Atlantic Brigade, which fought in the Kosovo war at the side of the Kosovo Liberation Army (KLA), numbering some 400 armed fighters (Also see Christian Science Monitor 1999). There’s not space within this report to reveal the subterfuge and death dealing that came about because of US proxy wars in the former Yugoslavia. I will direct the reader to an expert. The decorated soldier and award winning journalist, Colonel David Hackworth (November 11, 1930 – May 4, 2005) was a war hero and defender of truth for the thousands and millions blown to pieces by these wars. “Hack”, as he was often called, was one of the most decorated soldiers in history having worn; 2 Distinguished Service Crosses, 10 Silver Stars, 8 Bronze Stars, 8 Purple Hearts, and 34 Air Medals, to name a few. A journalist for Newsweek and others, “Hack” was in the former Yugoslavia at the critical moment. This piece by him shines light on the lies the American people were told about Bush’s and Clinton’s war there. Comparing US policy in the former Yugoslavia to that of Vietnam, Hackworth uses the case of Sgt. Richard Casini, a recon trooper in Kosovo who stepped on a mine. In this singular incident, we see what we know now as a “ritual” of lying propaganda to mislead Americans and the world. When the boy’s dad was notified of his son’s injuries, “Your boy is being flown to Germany on the general’s jet,” was the news he got. Unfortunately, “Hack” was contacted later by Sgt. Casini, who had lost a foot, and learned how the boy had been flown to the hospital on a cargo plane wedged in between crates. David Hackworth is gone now, he succumbed to cancer a few years back. The legacy of “soldiers against war” goes on, only with different proponents like those at Veterans Today and elsewhere. As for Bill Clinton’s playing at reluctance in the region once known as Yugoslavia, the sordid history of genocide and graft seems endless now. Another story I found, the tale of a Frenchman who trained with the Atlantic Brigade, it calls to mind Ukraine, Libya, and Syria of late. You see “patterns” lead us to the truth more often than not, ask any criminal profiler. The ghastly killing fields of the legitimate country of Yugoslavia, the investments in carving up the pieces left over, stain the hands of US presidents, British lords, and neo-Nazi German industrialists. In an interview with a French mercenary names “Jacques’, Jean-Luc Porte reported back in 1999 how the US backed “Atlantic Brigade” was formed up. The skin head killer of Serbs and Croatians, by his own admission, outlines for us how fascism and Nazis akin to those seen in Ukraine of late, made up a killing brigade effecting the dismemberment of a former great nation. Wounded, rethinking his service to the cause, the Frenchman who joined other multinationals in Albania bore the mark of “HOS for Ustashis,” a proud brand of Croatian Nazis who joined the Germans in World War II. Not unlike the Banderites of the Ukraine crisis, the various proxy wars in the Balkans were manned by lethal killers from abroad. And top American officials knew full well the breed of murderers they pulled the strings on in Kosovo and throughout the Balkans. Yugoslavia, you see, became the template for Afghanistan and Iraq, Arab Spring, and the current anti-Russia onslaught. The names of Madeleine Albright, Javier Solana, General Wesley Clark and others continue to reverberate. In the former Yugoslavia the friends of key players in government planned a literal carving feast of potential creditor nations and investment bonanzas. The tale of this genocide in the name of democracy is almost too awful to speak of. Most of the people of these nations were set back 200 years, into a kind of medieval existence without hope. 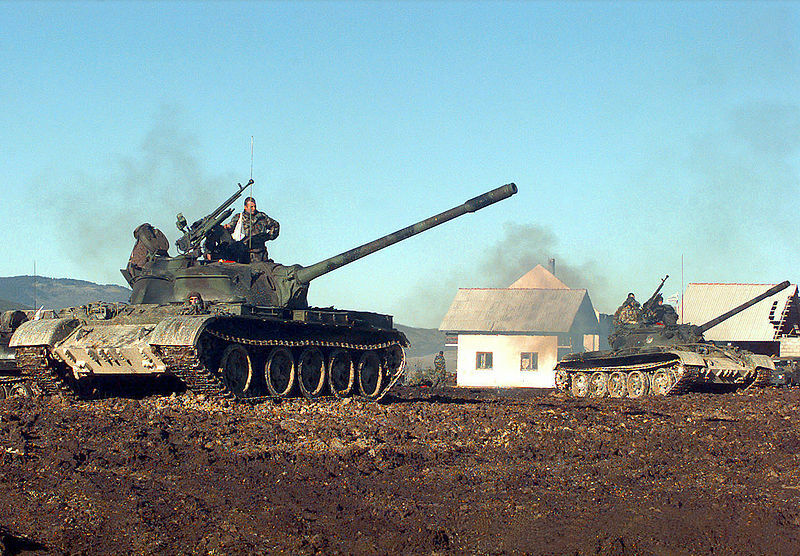 The only glimmer of possibility for most former Yugoslavians is quite naturally, the EU and its NATO protectors. As I write this American, Brit and German planners are already carving up Syria. This Rand Corporation plan is not surprisingly clinical, even matter of fact, about partitioning a sovereign state. For those unaware, Rand Corporation is the Big Brother of all hegemonic think tanks. If you see it in print from these guys, the US military industrial complex invested money in it – period. Certainly there was genocide on both sides of the Albania-Kosovo conflict, as well as the other wars in the Balkans. This is not the point really, for the totality of catastrophe is what I am focused on. First of all the people of the united Yugoslavia no longer have any real voice. Secondly, the breakup of that nation has led to the death or dislocation of millions now. This is another story. But my “fantasy” Yugoslavia should be an eye opener. Let me conclude. Yugoslavia was built on an idea that Southern Slavs would not remain a weak and divided people. A united nation of Yugoslavia was not easy prey for imperialist intentions like we see taking place today. It is a fact, that after World War II, socialist Yugoslavia became something of a European success story. Between 1960 and 1980 the country had one of the most vigorous growth rates in the world: a decent standard of living, free medical care and education, a guaranteed right to a job, one-month vacation with pay, a literacy rate of over 90 percent, and a life expectancy of 72 years. To my knowledge, not one of the Balkans states that were created can claim half this prosperity. It was this prosperity which caused western interests to want to destroy Yugoslavia. Does this strategy sound familiar? Remember the Rand Corporation plan for Syria. Were Ukraine, Donbass, and Crimea understood before the Euromaidan? What is the plan for Russia? This is where the metal meets the meat my friends. In the Balkans catastrophe the West demonized the Serbs. 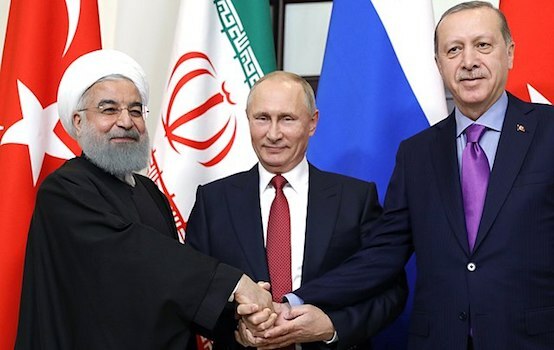 In Libya it was Colonel Muammar Gaddafi, in Syria it is Assad, and the pattern goes on with Vladimir Putin as the biggest trophy head to put on some banker’s den wall. If that sounds contrite, I am sorry, this is the world we live in now. By the power of sleeping American citizens drugged stupid with worthless trinkets of super-capitalism – the world is being taken over by tyrants. As of 2015, Bosnia and Herzegovina is 112th economically, and conditions are worsening. Still the poor Bosnians think joining the EU will solve all problems. Croatia is currently 76th in the world economically, but Bloomberg just named the country one of the 10 worst on Earth. Macedonia ranks 130th, with agriculture being the only real industry, unemployment in the country is above 30%. Montenegro, despite the sheer beauty of the tiny country, is 149th among world nations. Like some other former republics, Montenegro believes EU ascension will solve everything. Serbia is ranked 87th in GDP, and seems more stable in many regards than her contemporaries. Slovenia ranks 81st in GDP, and is for some a potential miracle if tourism and other industries continue to grow there. From a personal perspective, I recall a moment of prosperity in the former Yugoslavia, the 1984 Olympics at Sarajevo. Those were the first Winter Olympics ever held in a Communist nation, as I recall. The torch relay through Dubrovnik, then Split, Ljubljana, Zagreb, and countless other Yugoslavian cities, culminated in a proud moment in Sarajevo. The names of the gold medal athletes there have become blurred in my mind now, but the little wolf mascot Vučko, created by the Slovenian painter Jože Trobec is framed in my mind’s eye for some reason. A cartoon here in Yugoslavia at the time, the little wolf represented the people of these Balkans nations well. Wolves are prominent in Yugoslavian fables, they are the embodiment of courage and strength and the also symbolize winter. And as I type these final letters, I think about what the courageous and strong people of Yugoslavia might have won had their destinies not been interrupted by outsiders? All I know is, 24th place is a far cry from 149th in the Olympics. As for Yugoslavia, that nation is gone forever.